Streeter Lecka/GettyMichael Jordan is one of the most successful athletes of all time — and one of the richest. 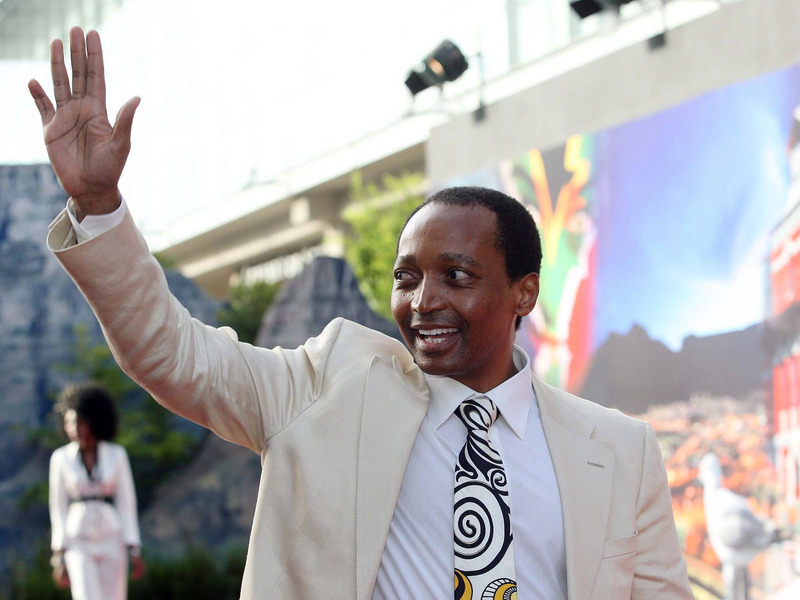 We put together a list of the world’s richest black billionaires, using data from Forbes. The majority of the billionaires on the list are self-made self-starters who built business empires in finance, sports, media, and commodities. Only three of the billionaires are from the United States. There are 2,043 people across the globe with three commas in their net worths, according to the 2017 Forbes Billionaires list.The 23 wealthiest have $US1 trillion collectively. In 2017, 10 of the world’s billionaires – fewer than 1% – are black, down from 12 last year, reports Forbes contributor Mfonobong Nsehe. Three of the 10 are women. All but one, Isabel Dos Santos, are billed by Forbes as self-made. To compile the full list, Forbes uses stock prices and exchange rates to estimate the net worths of the world’s richest people, and then ranks them based on their wealth. We updated the 2017 list using data from February 15, 2018. Forbes maintains a current snapshot of the world’s billionaires, updated daily. Continue reading to see the richest 10 black billionaires in the world, according to our updated version of the 2017 Forbes Billionaires list. Self-made billionaire, 71 year-old Mohammed Ibrahim, was born in Sudan and now lives in the United Kingdom, where he is the 11th wealthiest citizen. Ibrahim became a billionaire after selling his telecommunications company, Celtel International, in 2005, according to Forbes. Now he spends much of his time focusing on improving the lives of African citizens through the Mo Ibrahim Foundation. Folorunso Alakija, vice chair of Nigerian oil company Famfa Oil, got her start in business as the founder of an elite Nigerian fashion label, according to Forbes. The 66 year-old self-made billionaire lives in Lagos, Nigeria and has four children. Her son, Folarin Alakija, recently married Iranian model Nazanin Jafarian Ghaissarifar, in a lavish, multi-million dollar wedding, which took place in England. 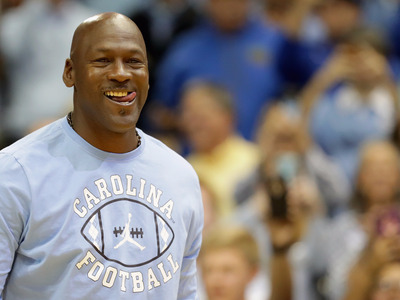 One of the most successful athletes of all time, Michael Jordan, 54, made a total of $US90 million as a basketball player, according to Forbes. Since retiring from the NBA, he has amassed the majority of his wealth through his relationship with Nike and other corporate partnerships. Jordan, who also owns a stake in the Charlotte Hornets, now makes more in one year than he did during his entire professional basketball career, as Business Insider’s Cork Gaines reported. Motsepe and his wife Precious created the Motsepe Foundation in 1999 to help create new jobs, support education, and improve the lives of children, the unemployed, and the disabled, among others. Ian Gavan / GettyIsabel Dos Santos and Sindika Dokolo. 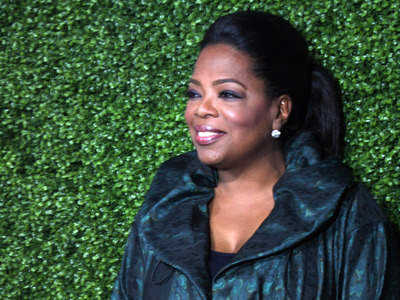 Oprah Winfrey, 63, is the only African-American woman to make the Forbes billionaire list. Winfrey overcame a tough childhood to become the well-known and beloved media mogul she is today. 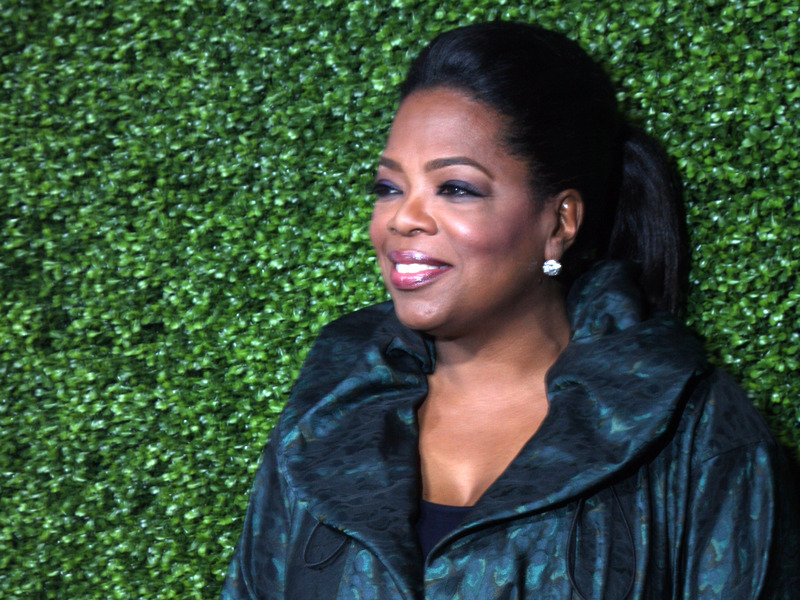 While generous with her wealth, Winfrey still maintains an enviable lifestyle. Earlier this year, Winfrey delivered the commencement address at Smith College, telling graduates the secret to success is serving others. Stephen Lovekin/GettyHope Dworaczyk and Robert Smith. When Robert Smith, 54, left Goldman Sachs in 2000 to start his own private equity firm, Vista Equity Partners, his coworkers thought he was crazy. But since then, his success and wealth has sky-rocketed, landing him on the Forbes Billionaire list for the first time in 2016. Nigerian Mike Adenuga, 64, is chairman of telecommunications company Globacom, which has 36 million subscribers, as well as the majority owner of Lagos-based oil company Conoil, according to Bloomberg. Jordan Pix / GettyMohammed Al Amoudi (not pictured) lives in Jeddah, Saudi Arabia. Here, people walk on a central street in the heart of Jeddah historic center. Mohammed Hussein Al Amoudi, 71, moved from Ethiopia to Saudi Arabia when he was 19, and began amassing his fortune from government-contracts in real estate and construction, according to Bloomberg. Now, the father of eight owns businesses across multiple industries, including oil, mining and agriculture, in Saudi Arabia, Ethiopia and Sweeden. 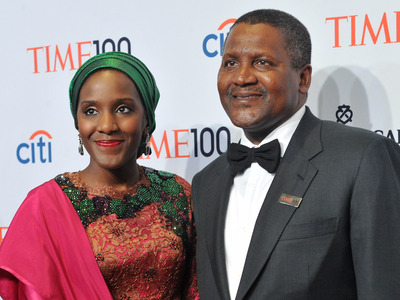 Ben Gabbe/GettyHalima and Aliko Dangote. The wealthiest man in Africa is Nigerian Aliko Dangote, 60, who has been CEO and president of Dangote Group for 35 years. The majority of his fortune comes from a more than 90% stake in Dangote Cement, Africa’s largest producer of cement, which is traded on the Nigerian Stock Exchange. He is also an active philanthropist, serving as chairman of The Dangote Foundation, which focuses on education, agriculture and health-related initiatives.